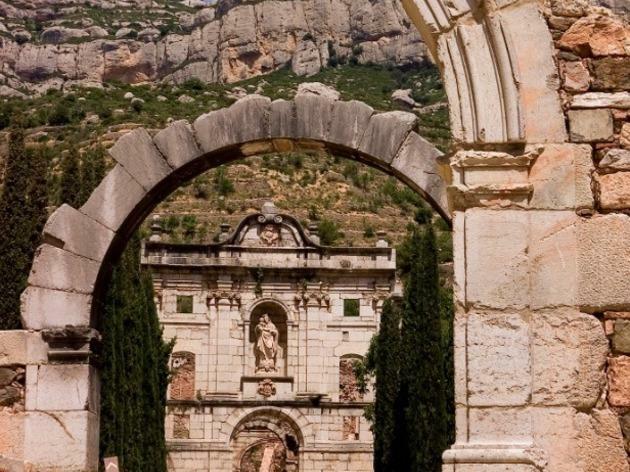 Learn about Catalonia's long history through the stones of the monuments that have survived the passing centuries and civilisations. 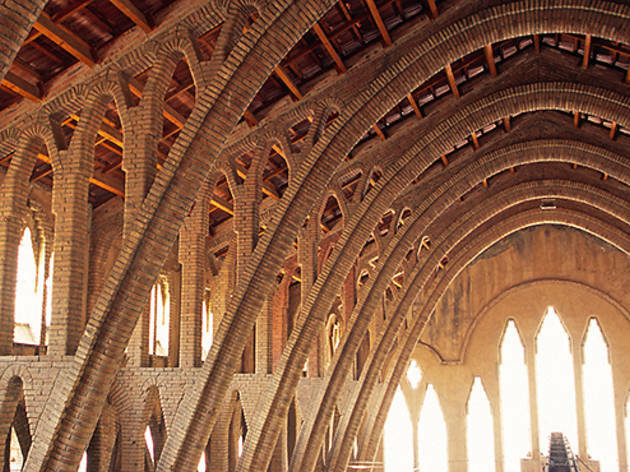 From Roman amphitheatres to unfinished Modernisme (Catalan Art Nouveau) temples, from the beautiful austerity of Romanesque art to the narrow streets in the Jewish quarters, we suggest a journey around Catalonia to discover the history of its architecture. In this town in the region of La Garrotxa, heritage is everywhere. 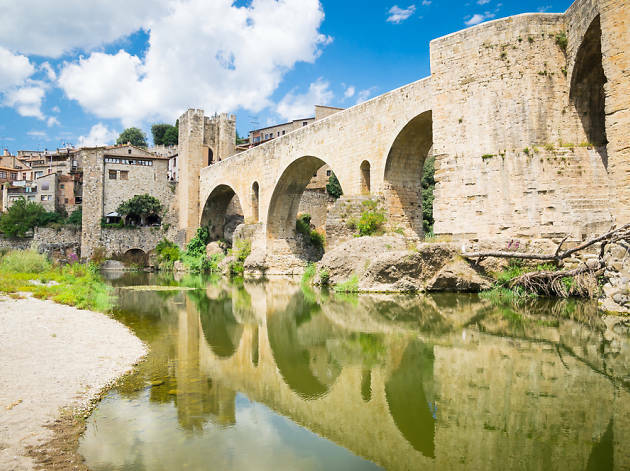 The most emblematic site is the magnificent and much photographed Romanesque bridge. 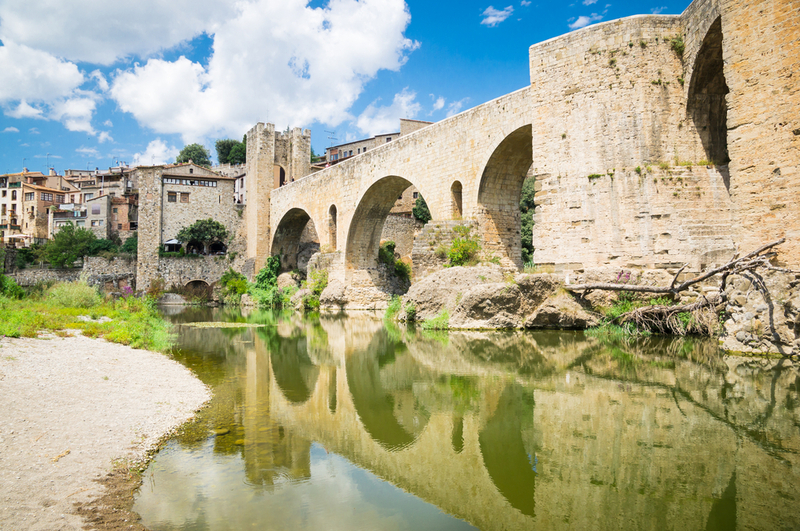 It invites Besalú's visitors to cross the River Fluvià before exploring its old streets. Built between the 11th and 12th centuries, the bridge has been restored or rebuilt several times after being damaged either because of the force of the waters or as a casualty of wars. Its angular structure is original, as is the walled tower in the middle of its 105 metres, where in the past anyone entering the town had to pay a toll. An exquisite Romanesque portico and a rich history. 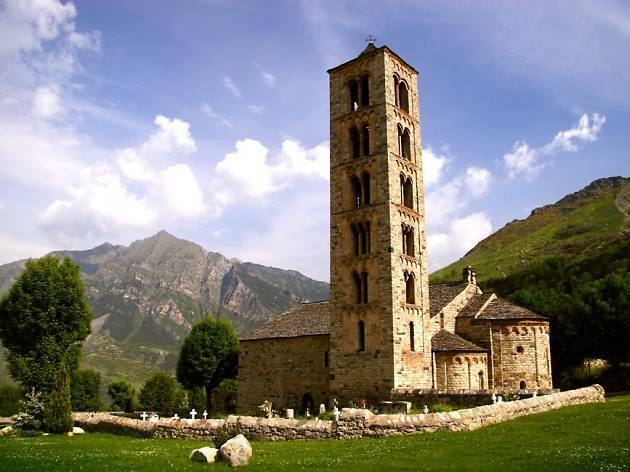 These two elements would be reason enough to go to Ripoll, one of the major towns in the Catalan Pyrenees, and visit the Monastery of Santa Maria. Although much of the building was reconstructed quite recently, it was done with good taste and enhanced the majesty of a key place in the birth of what we now know as Catalonia. Indeed, the mortal remains of some of the medieval counts lie here. The Renaissance passed through Catalonia almost unnoticed and left few examples. 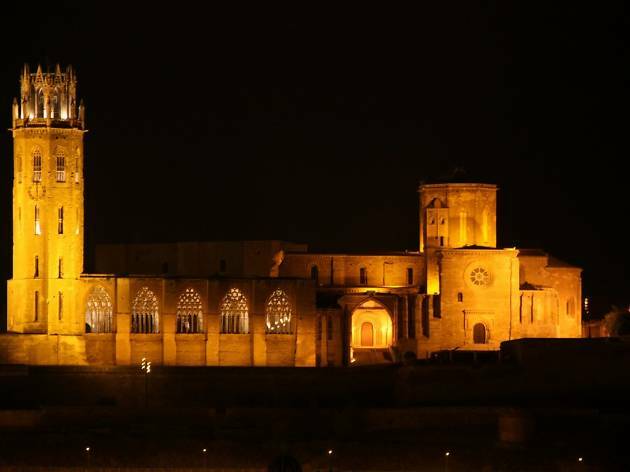 The most interesting site of this artistic period is in Tortosa, the capital of El Baix Ebre, in the south of Catalonia. The three buildings that make up the Royal Colleges date back to the 16th century and are classified as a Cultural Asset of National Interest. 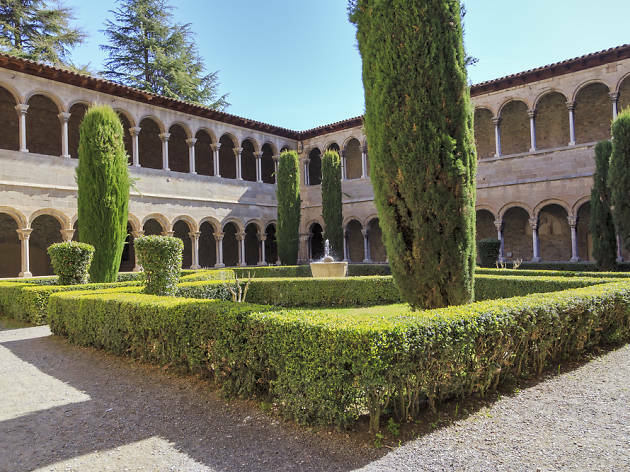 Perhaps the most celebrated point, which you've definitely got to see, is the central courtyard of the College of Sant Jaume and Sant Maties, also known as the College of Sant Lluís Gonzaga – the only Renaissance courtyard in Catalonia – which is of great quality in every respect. 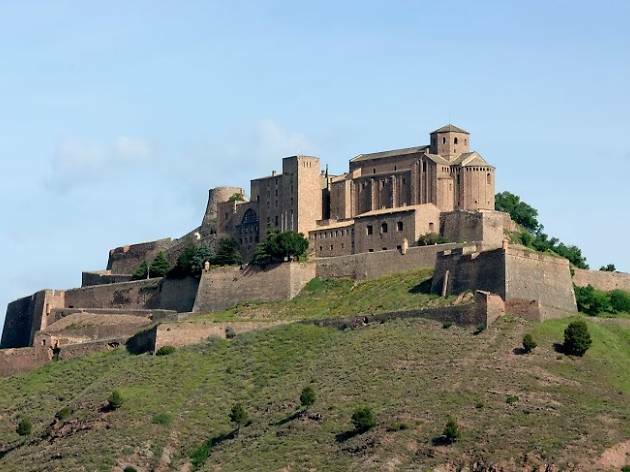 Of Romanesque and Gothic styles, but above all spectacular, this is a large medieval fortress located in an outstanding spot. It was the site of many historical events. You'll want to visit every nook and cranny, but if you can't, we suggest the particularly enchanting Torre de la Minyona, from the 11th century, and the church of Sant Vicenç, which is very well preserved despite its almost 1,000 years of history. 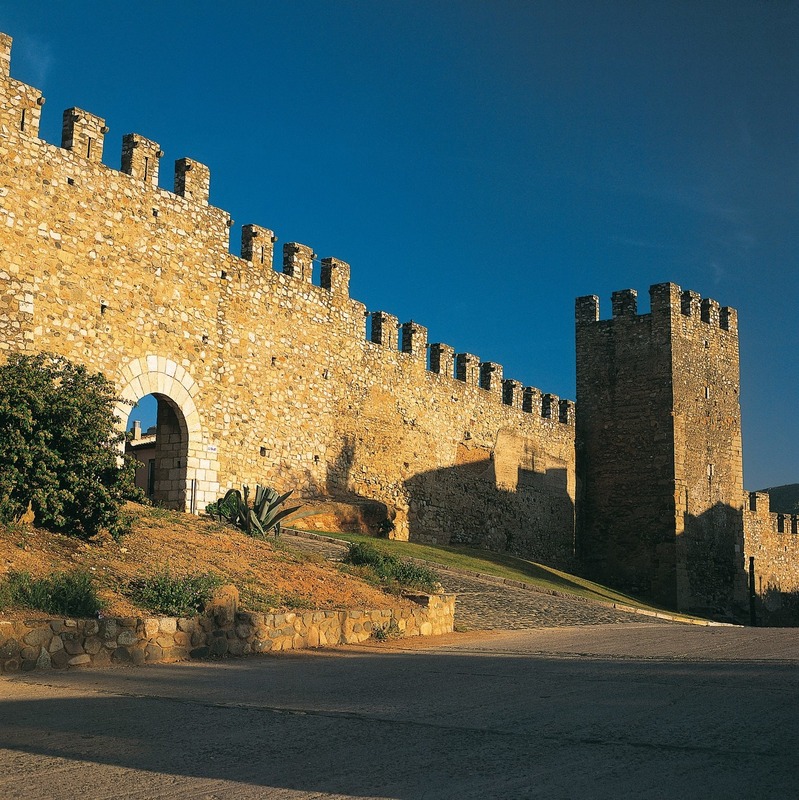 You can even stay in the Parador de Turisme (state-owned hotel), which occupies part of the castle. 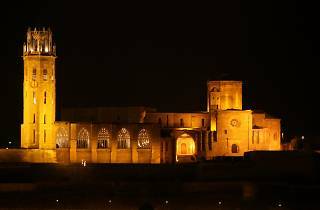 The Seu Vella has dominated the skyline of the city of Lleida since the 13th century, and has experienced a great deal of turmoil. King Felipe V even wanted to destroy it, although the monarch died before he could, and so it survived. 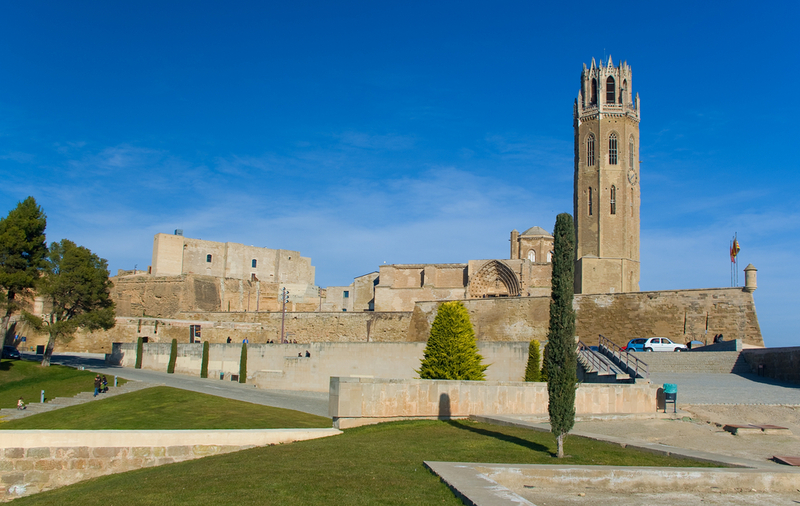 It is undoubtedly an essential visit if you go to the capital of El Segrià. 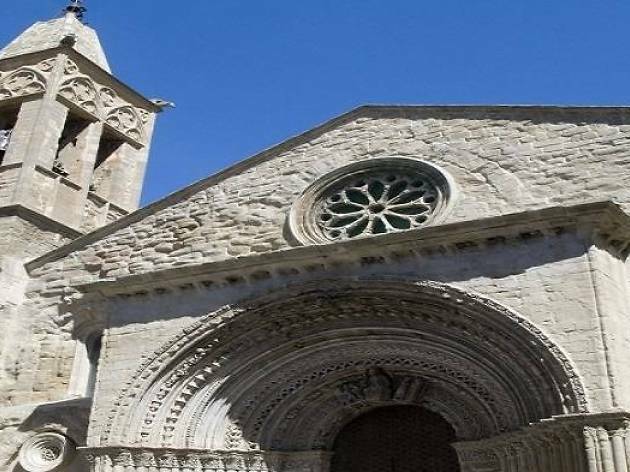 When defining its architectural style, one writer got it right when he noted that ‘it has the Romanesque shapes and monumental character of the Gothic’. 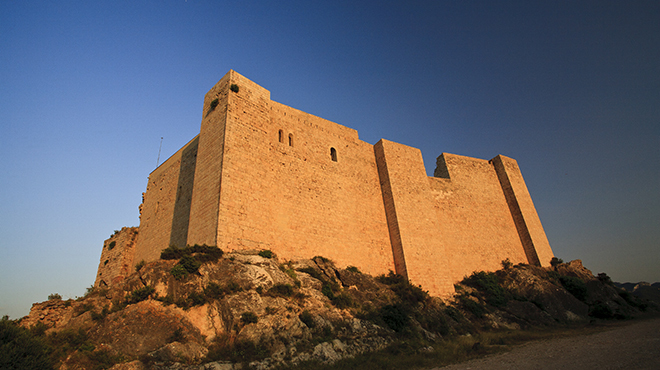 Along with the King’s Castle, or La Suda, and the military fortress, the Seu Vella is listed as a Cultural Asset of National Interest. 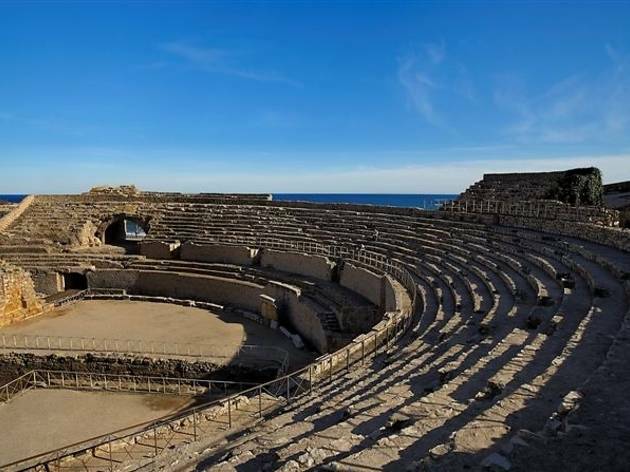 For enthusiasts of the mighty Roman Empire, a visit to Tarragona is essential. 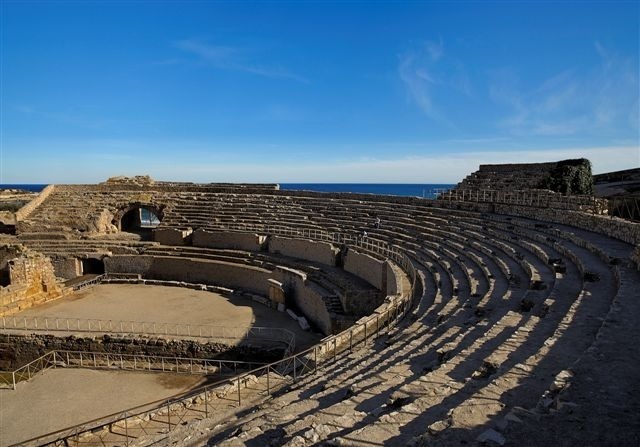 In Tarraco, one of the most important cities of the Empire in the Iberian Peninsula, two millennia later you will still find important remains of those times. Although there are many places of interest, the oval-shaped amphitheatre, located by the sea, is the most emblematic. When sitting on the tiers you can almost hear the wild beasts roaring in the arena or see the gladiators fighting for their lives. It was here that in 259 the Christian Bishop Fructuosus and his two deacons were burnt alive, and this is why in the 11th century a basilica was built dedicated to the martyrs, of which there are still remains. This is considered the best preserved Jewish quarter in Europe and is in the very centre of Girona. Known as El Call, its construction began in the 12th century, and many Jews lived there. Today, walking through its streets immediately takes you back several centuries and it's well worth visiting the museum there to discover the history of Judaism in the city. Poblet, Santes Creus and Vallbona de les Monges form a unique triangle in terms of history and heritage because all three belonged to the Cistercian Order. 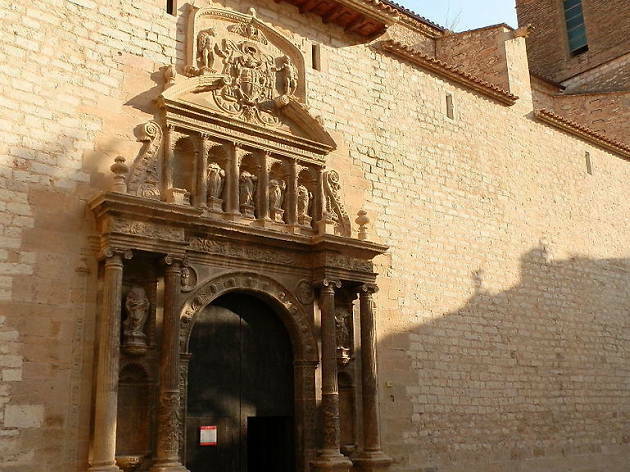 You should allow at least a couple of days to visit the three monasteries – two of which, Poblet and Vallbona, still have monastic life – as well as other villages and places of interest in the area. 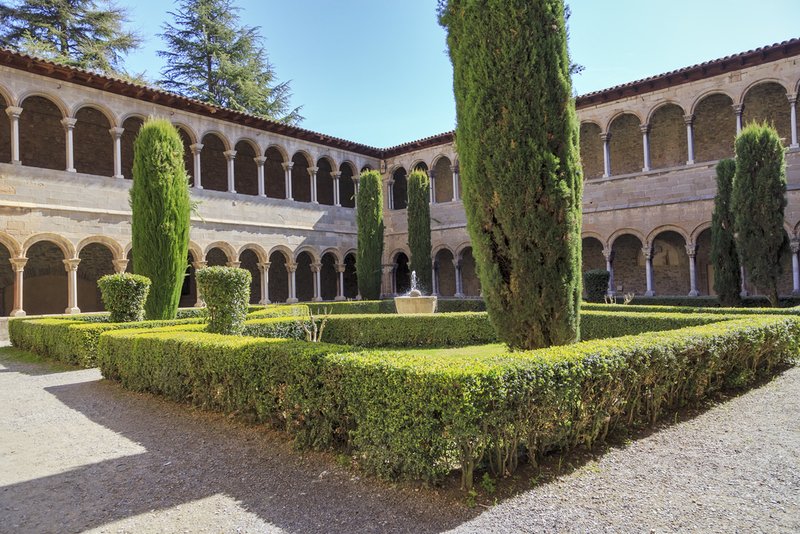 Construction of these monasteries began in the 12th century, and they house many items worth seeing, notably the sepulchres of the most renowned kings of the Crown of Aragon. 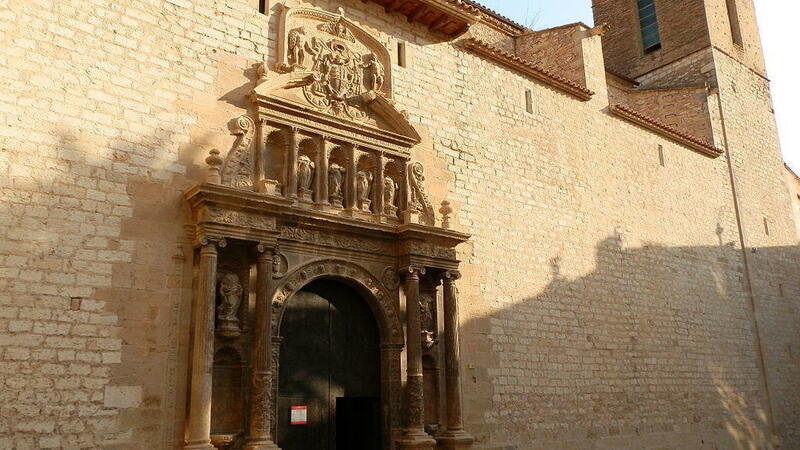 The Monastery of Poblet is also listed as World Heritage. 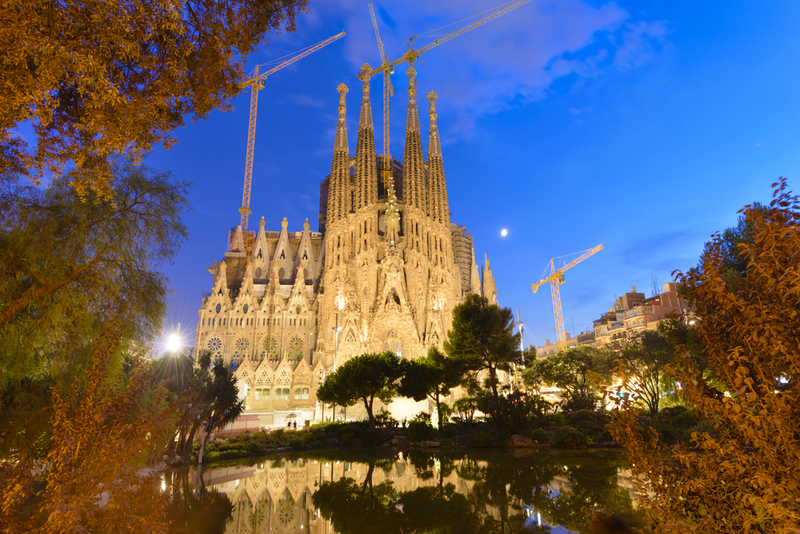 What can we say about Antoni Gaudí’s Sagrada Família that hasn't already been said? Going to Barcelona and not visiting this temple from the Modernisme period would be like travelling to Paris and not seeing the Eiffel Tower. 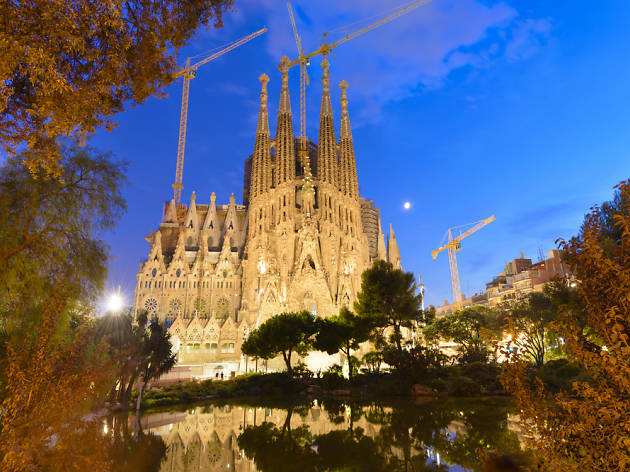 The end of the building works is drawing closer – it's scheduled to be completed in 2026 – and neither the cranes nor the long queues can overshadow the majesty of Gaudí's principal creation, which deserves to be explored both inside and out. 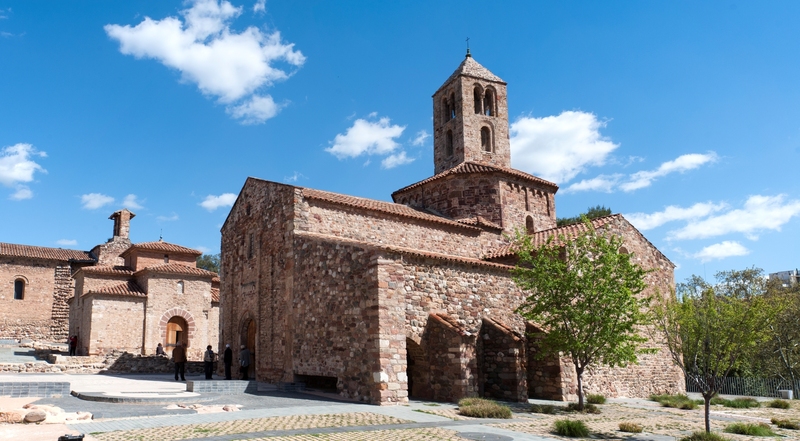 At the heart of Terrassa, one of the most industrial and populated cities in Catalonia, we find this beautiful monumental site comprising three churches dating back to the early centuries of Christianity. The three temples have elements characteristic of Romanesque art but that are very different from each other. 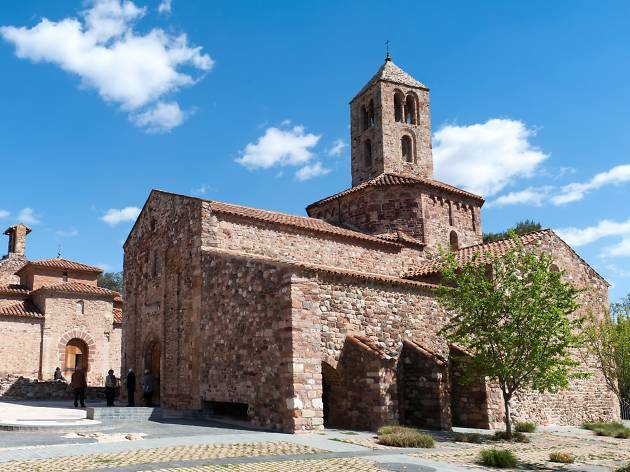 Sant Miquel is particularly outstanding – a funerary temple with a square ground floor plan that bears the mark of the passage of the Visigoths through these lands. Miravet is perched above the waters of the River Ebre, and on more than one occasion rising levels have caused a scare and damaged the buildings. What's more, the streets lead up to the castle of Muslim origin giving the impression that the site was designed by a town developer with a very good eye or a director of photography. 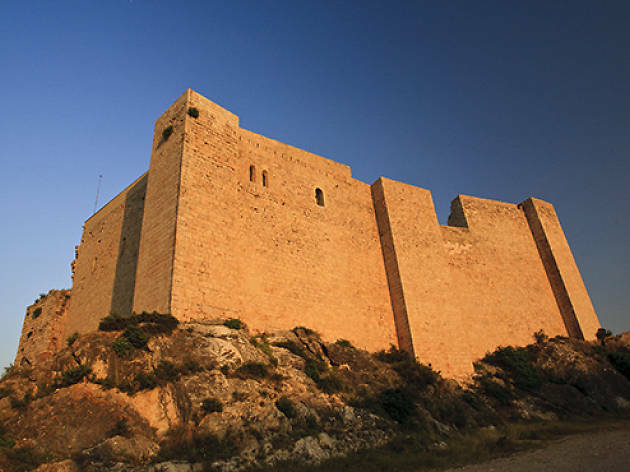 The castle is one of the finest examples of the architecture of the Knights Templar, with majestic walls that symbolise the defensive style of the castles of the Holy Land. 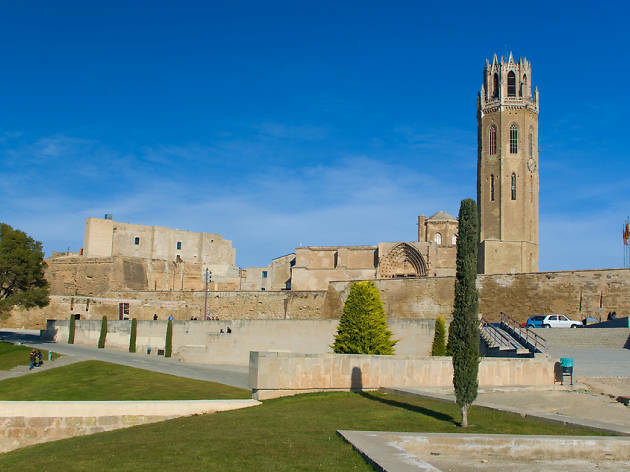 Montblanc is the capital of the region of La Conca de Barberà and its well-preserved old quarter was designated a Monumental and Artistic Site in 1947. The ‘Villa Ducal’ (which has been its title since the Middle Ages) boasts many buildings, such as the Casal dels Josa (today a museum), the stunning Gothic church of Santa Maria la Major and the Pont Vell, a bridge probably of Roman origin. 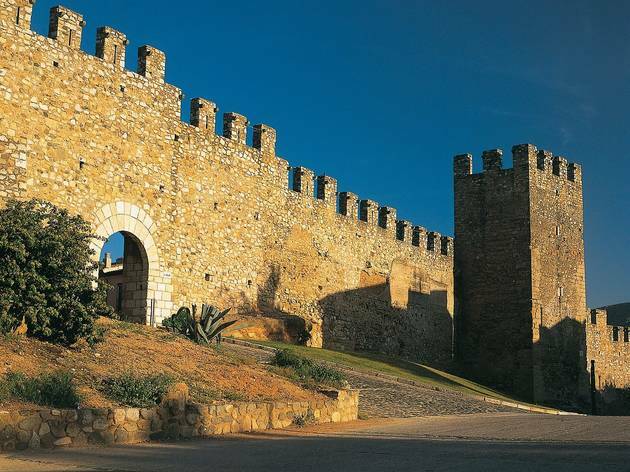 However, the walls deserve the place of honour, and are still protecting the historic centre with elegant portals and towers. Some people credit this place with the origin of the legend of Saint George. 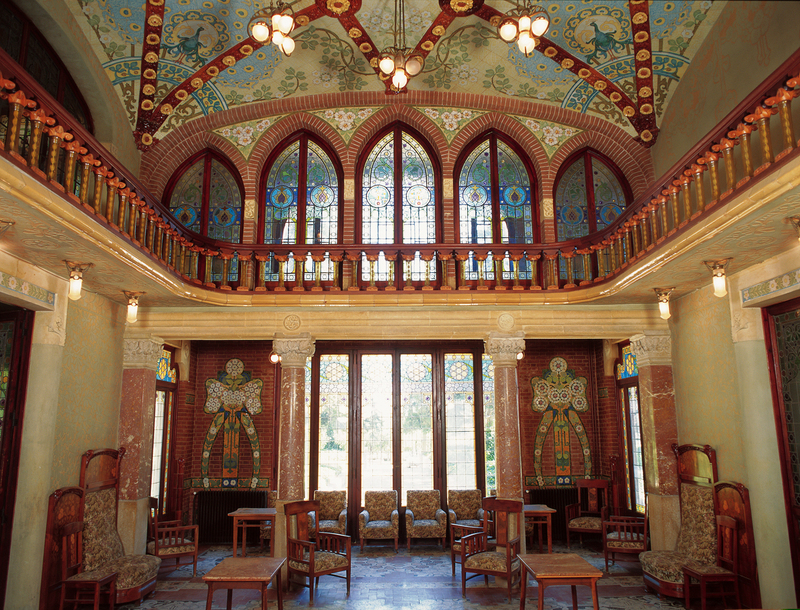 This psychiatric hospital, the work of the architect Lluís Domènech i Montaner, is one of the Jewels of Modernisme in the regions of Tarragona. Located approximately ten minutes by car from the centre of Reus, its Pavilion of the Distinguished is outstanding, the only one in the whole site where there are tours and cultural events. It still has the original decoration intact, with stained-glass windows, ceramics, mosaics and furniture that take us back a century. 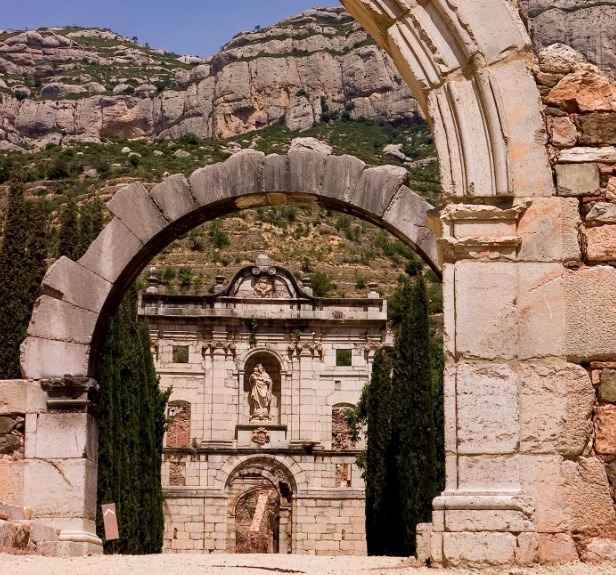 The first Carthusian monastery in the Iberian Peninsula, the 12th-century Escaladei, occupies a unique spot and is an essential visit in the region of El Priorat. Today, most of the building is in ruins, although you can still get a sense of the size of the place from the remains of its three cloisters – one fully restored – the church, the refectory and a cell reconstructed in every detail. It's worth taking the opportunity to explore the surrounding areas and the Serra del Montsant. And if you're a wine enthusiast, you'll definitely want to try to local varieties. 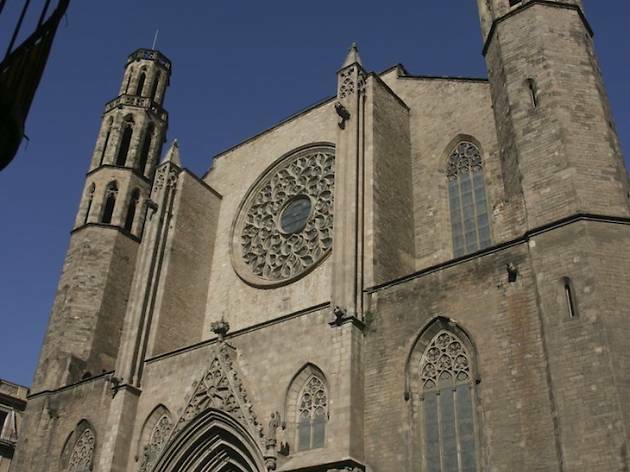 This is the only Catalan Romanesque cathedral and, despite the grandeur of the building and its location in the capital of the region, experts say that its features of clear Italian influence did not 'infect' other buildings of the time at all. Thus, you're dealing with a unique temple in Catalonia. 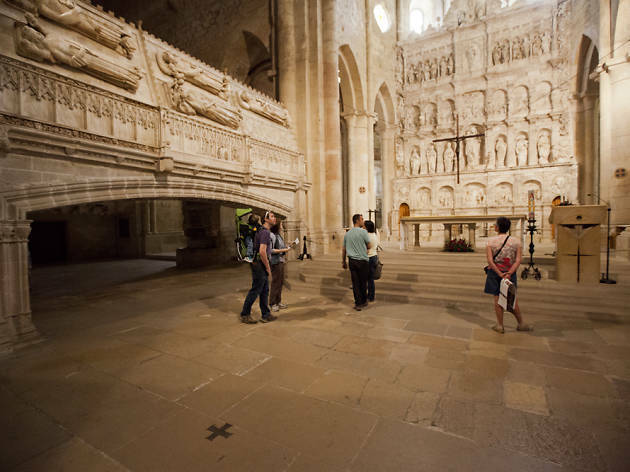 The cloister and its capitals, the altarpiece of Saint Ermengol and the mural paintings are just some elements to take in when visiting this cathedral of the Pyrenees. 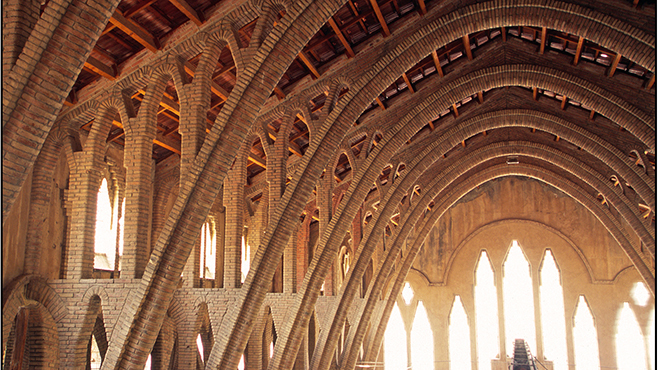 The architect Cèsar Martinell, a disciple of Antoni Gaudí, designed this ccathedral of wine', as the playwright Àngel Guimerà defined it. Outside, the building has a spectacular appearance and a frieze made of glazed ceramics by the painter Francesc Xavier Nogués, featuring scenes of the harvest and production of wine and oil. Inside, it's spacious but above all functional, designed with workers and efficient wine production in mind. 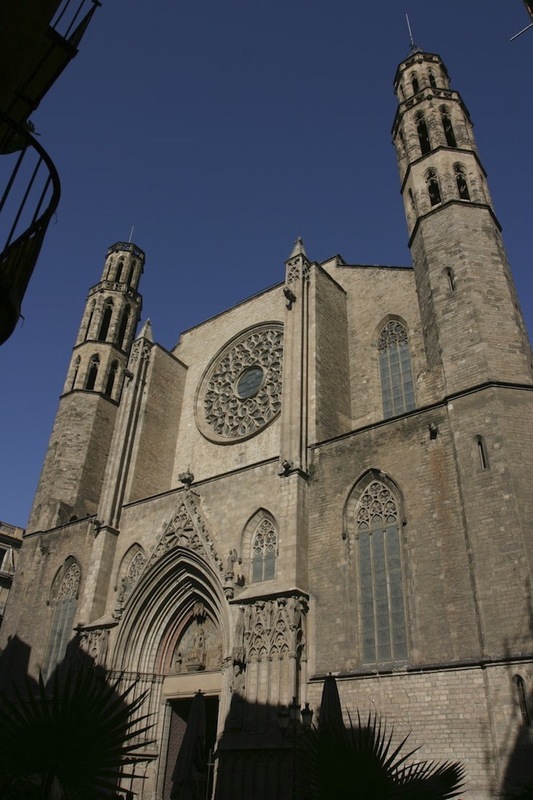 A hallmark of Catalan Gothic, Barcelona's central 'cathedral of the sea' boasts rationalist beauty. It dates back to the 14th century, took only 54 years to build, and is compact, plain and largely unadorned. Inside, the naves were built to appear as one, with perfectly proportioned columns. Also noticeable are its stained-glass windows and, in particular, the 15th century rose window above the main entrance. 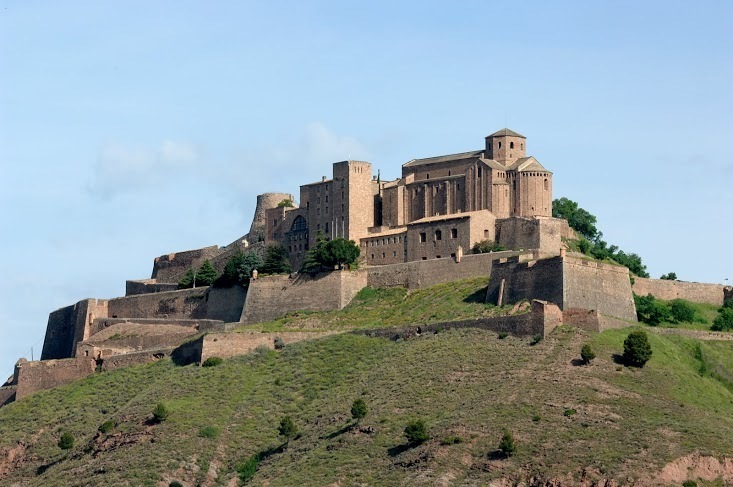 In one of the furthest points of El Montseny massif, this building stands out for its fusion of the Romanesque exterior and Gothic palace inside. This is because it took 500 years from the laying of the first stone for the castle to be considered complete. Today it still stands proudly atop a hill, dominated by its Tower of the Homage, and with three different levels, all of them walled. 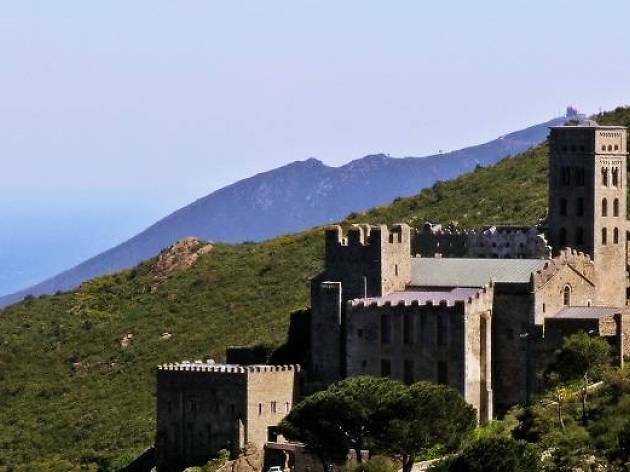 The Monastery of Sant Pere de Rodes, the main spiritual centre of the county of Empúries during the Middle Ages, leaves visitors breathless not only because of its monumental character but also its location and views. From here you can see the rugged Cap de Creus, the seaside town of El Port de la Selva at its feet and even the Gulf of Lion. Eleventh-century Lombard Romanesque style characterises this Benedictine monastery and the building was (and is) a key point on the Camino de Santiago (Saint James’ Way) from France. 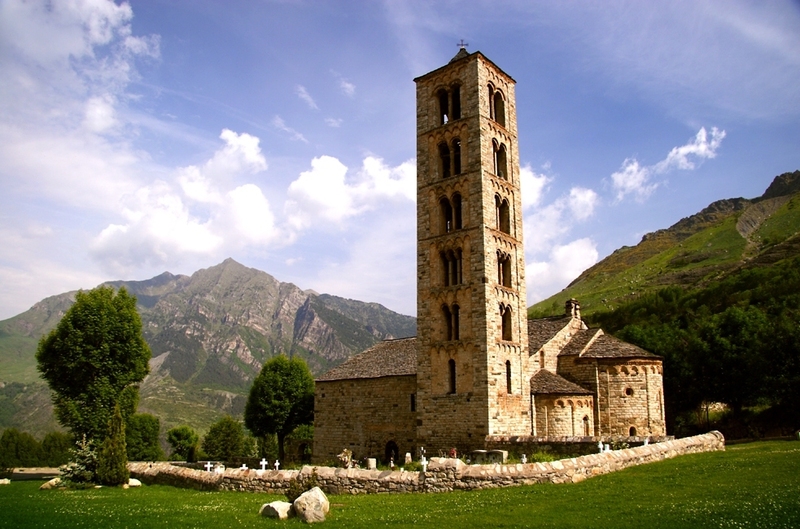 Spearheading the Romanesque in the Vall de Boí, in the Pyrenees, listed as a UNESCO World Heritage Site, the church of Sant Climent de Taüll was consecrated in 1123. It is the prototype of a basilica ground floor plan Romanesque church, with three naves separated by columns and a wooden gable roof, triple apse and a graceful tower that seems to touch the sky. The interior was lavishly decorated with paintings, notably including a Christ Pantocrator. To conserve them more effectively, the works were moved to Barcelona and today you can see them in the National Art Museum of Catalonia (MNAC). 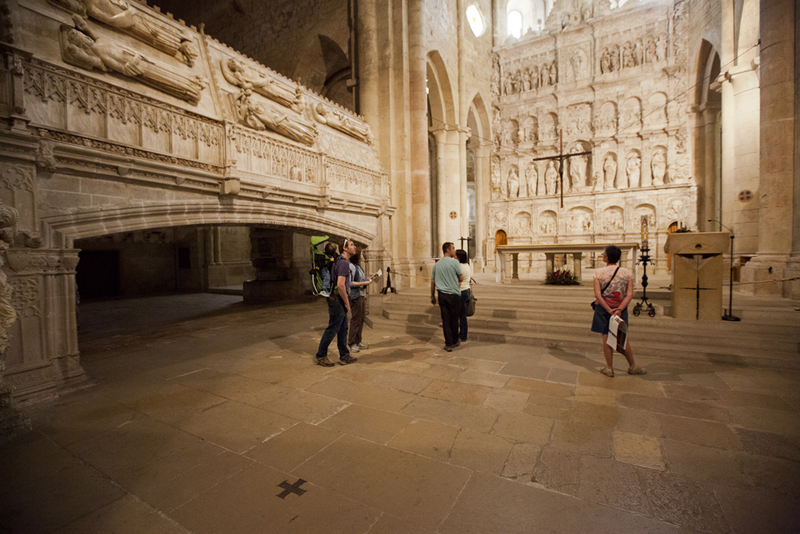 For some years, a video mapping of the paintings of the main apse has been screened on the original spot, giving visitors an idea of its spectacular appearance.